We produce bespoke, visual, interactive catalog applications and database driven portfolio(s). 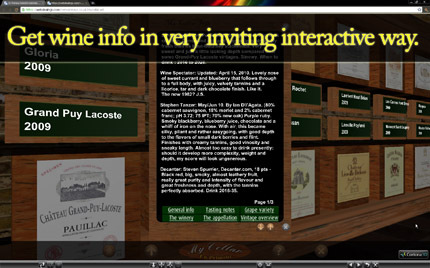 3D Cellar is an e-commerce tool that allows you to render your wine portfolio in an inviting, interactive 3D environment. Our 3D platform allows you to display products and their details. Full intergration and change of content in real time can be done via third party streaming, administrator or the user. 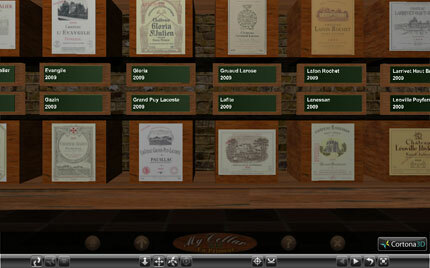 3D Cellar is an e-commerce tool that allows you to render your wine portfolio in an inviting, interactive 3D environment. Our 3D platform allows you to display products and their details.